A mark in the history of Mayo College was the resolution of the General Council and the Board of Governors to start an exclusive, residential school for girls on the 46 acre field, used earlier as the Polo Ground and later as playing ground and a farmland. 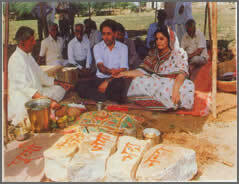 A landmark development was the Bhoomi Pujan and the foundation stone laying ceremony on the 1st of August 1987. 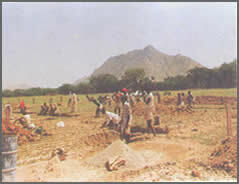 Construction work started on a war footing and the admission process as well as recruitment of staff began in right earnest. 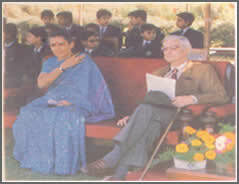 Known today as the ‘Sister School ‘ of Mayo College, the school strives to meet the vision envisaged by the founders. We shall make it a special point to ensure that the ethos of the Girls’ School is imbued with Indian traditions and culture without ignoring the present and the challenges of the future. Indian values, dance and drama will play a special role in the life of the child at the Mayo College Girls’ School.